Hey guys! Quite the hiatus, right? I’m going to try and post on here, seems like a nice little therapy that I’ve been missing. I recently re-subscribed to Birchbox, Ipsy, and Allure Beauty Box, in addition to Dollar Shave Club – an absolute staple in my house. Today I got my first Allure box in the mail, so here we go! The thick cardboard box comes in a plain brown shipping box, snug and safe. Inside, you’re greeted by the heavy-duty little magazine they have that is in place of a regular product run-down card. Underneath the gauzy-white tissue paper is the products, which… could’ve used a bit more of the squiggle grass packing in it, but it all came safe and sound. The glass nail polish was intact and the plastic around the Luna was fine. Now let’s get to the products! 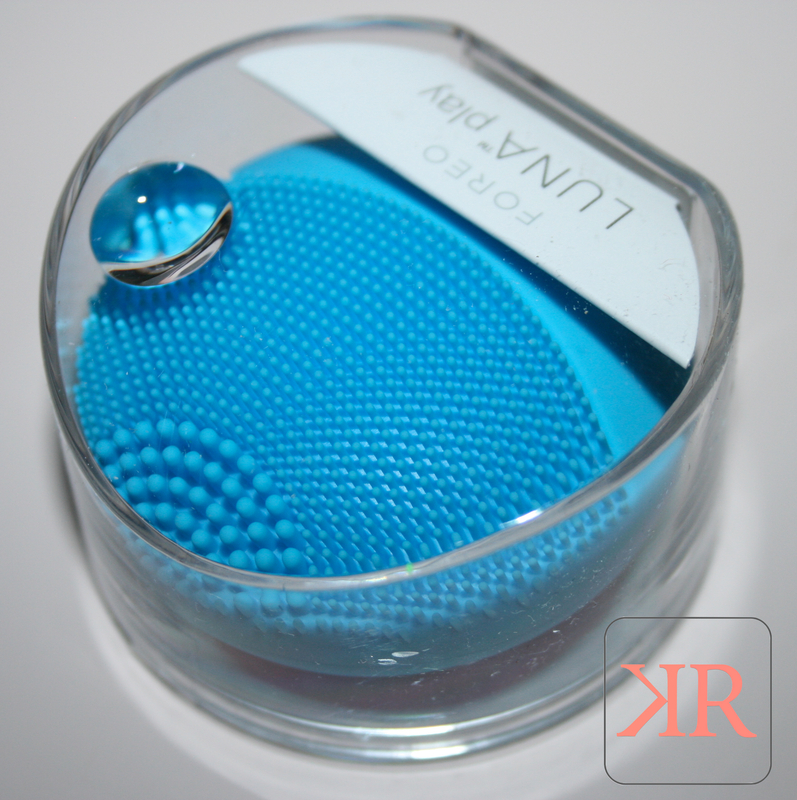 What It Is: A golf-ball size facial cleaning brush. 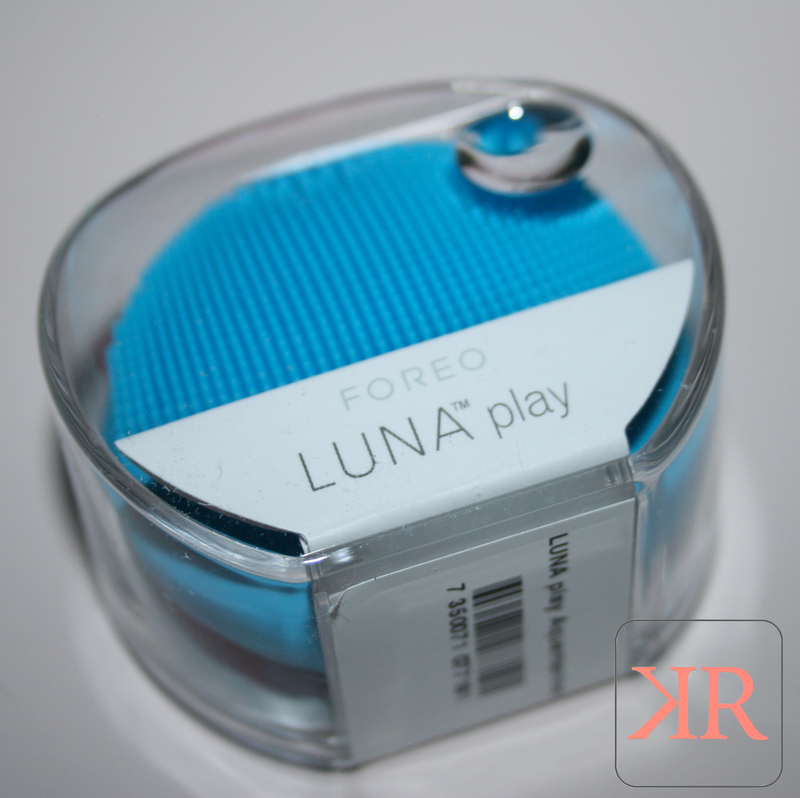 Why We Like It: This brush- a pint sized version of the original Foreo Luna- is gentle enough to use on even sensitive skin. It easily maneuvers around your nose, where bigger brushes tend to struggle, leaving skin smooth. It comes prejuced with 100 uses’ worth of battery power; once drained, toss it out. And in the meantime, don’t worry about cooties: the silicone inhibits bacterial growth. It’s gentle, but the larger bumps(?) at the top definitely do a good job at sonic-scrubbing, especially around the nose area. It’s different feeling, to me, since I’m used to bristle sonic brushes, but I think I like this better. It feels cleaner to use, but maybe that’s a placebo effect from knowing the silicone inhibits bacterial growth. I say my skin feels at least as clean or cleaner than my Clinique Sonic and my Clarisonic and most definitely feels like a better clean than my DDF. 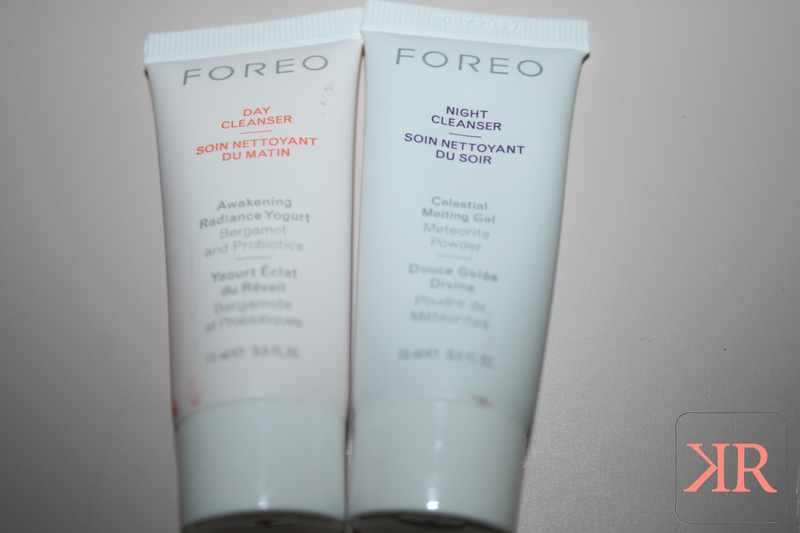 Key Ingredients: Mandarin and bergamot extracts (antioxidants); apricot-seed oil (moisturizes). 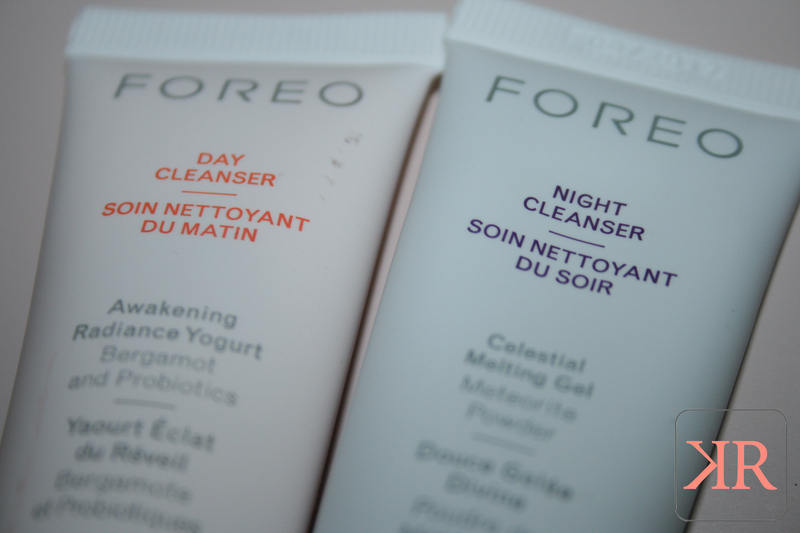 How It Looks/Feels/Smells: The citrus-scented cream transforms to an airy foam when you massage it onto damp skin with your fingers or the Foreo brush. Why We Like It: It rinses away the leftover retinole and night cream you applied before bed–something water alone won’t do– so you can start the day looking and feeling fresh. What It Is: A deep-cleansing face wash.
How It Looks/Feels/Smells: Once wet, the gel turns to lotion and rinses away every last bit of makeup, leaving skin fresh and soft. Why We Like It: How clean does you skin really need to be? If your answer is squeaky, you’re going to love this face wash. It thoroughly removes dirt, grime, sunscreen, waterproof mascara, lip stains, and anything else you may have pancaked on your face over the course of the day. What I Say: This day cleanser, omuguh. It’s so foamy and frothy and delicious. It smells amazing. Citrus-y and “HEY WAKE UP”-y. They pretty much explained everything else perfectly. What It Does: Minimizes the appearance of spots caused by acne, hormonal changes, and sun exposure. Key Ingredients: Linoleic acid, and vitamin C (brighten); olive oil and glycerin (moisturize). Why We Like It: Let’s get one thing straight. Spot treatments require patience and persistence. You probably won’t see much change after a few days. But a serum that shows a visible difference in four weeks? Now that’s fast. This one is moisturizing and gentle, so it won’t irritate sensitive skin. Our fair-skinned tester found that the sun spots on her forehead faded from cappucino brown to light tan after less than a month. Honestly? I haven’t tried this yet. Haven’t even opened it. But I guess the reviews are pretty good, but the price is also pretty steep. If you have the spare change, go for it. I’d personally stick with Origins’ Mega Bright serum from the Dr. Weil line. 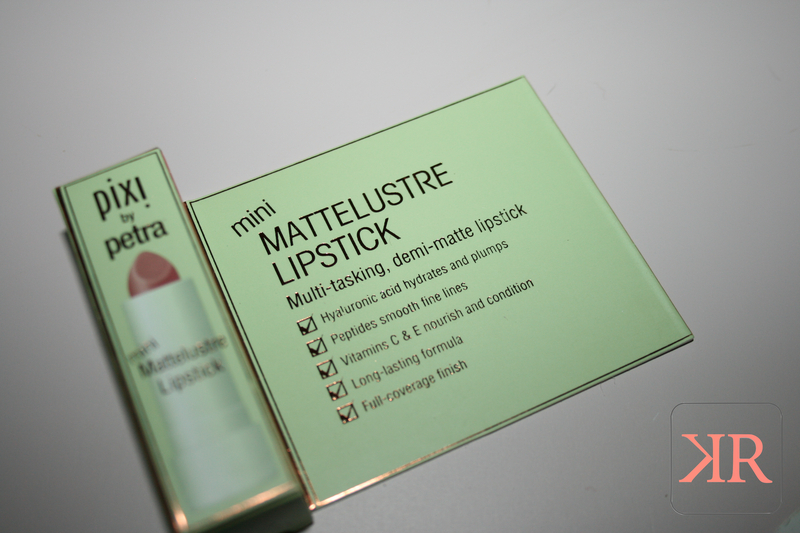 I got this recently in my April Birchbox, and fell in love with it then. It’s perfectly textured, no (obvious, to me at least) scent, and silky silky soft. Key Ingredient: Zinc oxide (sunscreen). Why We Like It: Because it’s not greasy or oily and it doesn’t smell like a piña colada. White we have plenty of sunscreens that we like to wear at the beach, there are few that have passed the makeup-bag test. This one provides sun protection and also wears remarkably well under foundation. They pretty much nailed it. It’s silky, has no scent (mother-approved! She HATES sunscreen smells, bug repellant too. ), and works not as a primer, but sits nice under a foundation, for sure. It is tinted, as well. There’s not quite enough coverage for a tinted moisturizer, but it definitely evens out skintone. 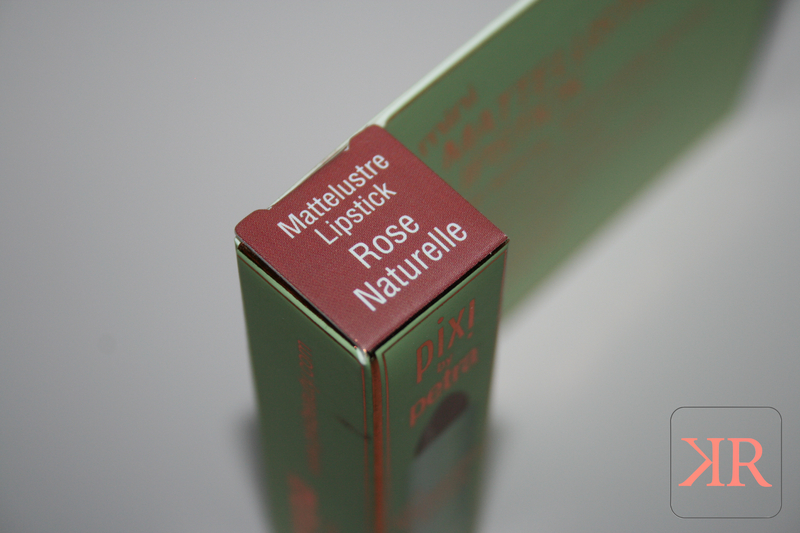 What It Is: A semimatte tawny-pink lipstick. How It Looks/Feels: The creamy bullet applies with no drag or dryness. 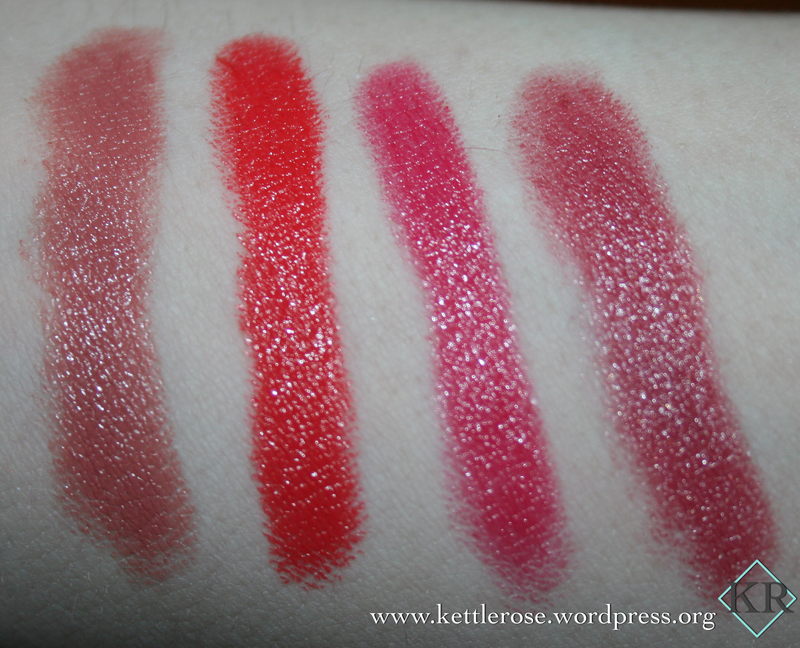 And unlike most “neutral” lipsticks, it delivers rich coverage. Why We Like It: This isn’t a wispy, barely there rose. 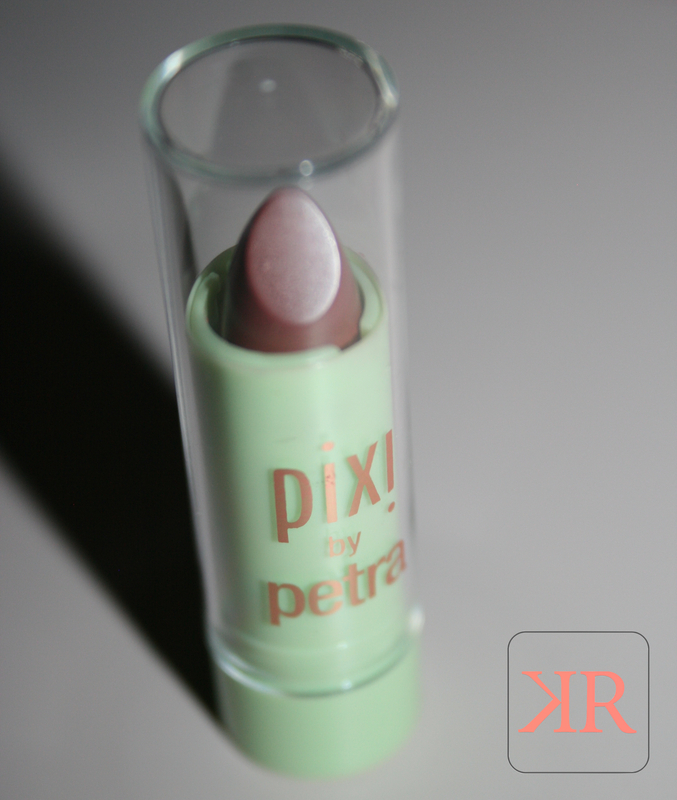 It has some heft, thanks to traces of brown and a lush opaque finish. It also has peptides, hyaluronic acid, and vitamins C and E to keep lips looking extra Angelina Jolie-ish. 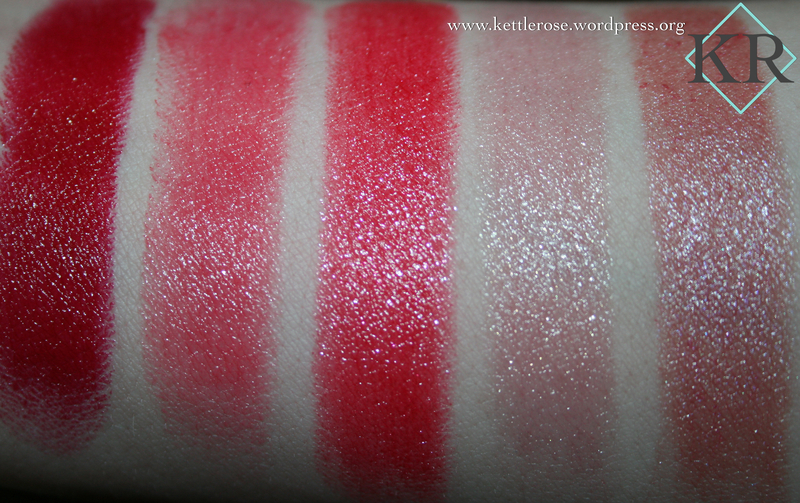 This is a comfortable and pretty color, excellent opacity without having 1904343 pounds of it on, which is something that I hate about other formulas like liquid lipsticks. I feel like I will be throwing this one if my purse for regular use. It’s creamy and comfortable and lasts for about 3-4 hours and leaves a gentle stain for about 5 hours. 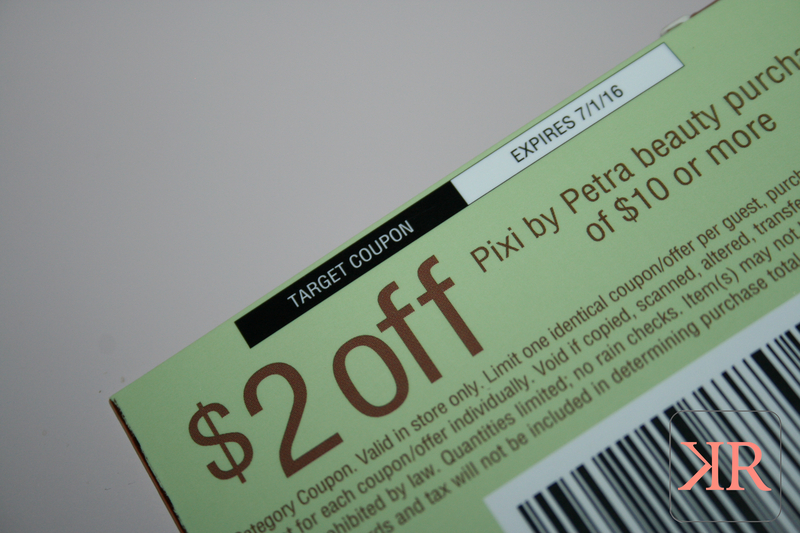 Pixi is a brand I always kind of skipped over, but the next time I’m in Target (which is always), I’ll check it out. Um. So. I didn’t grab a picture of the Make Up For Ever Smoky Extravagant Mascara for some reason. But I’ve had the full-size for a while. It’s alright. I don’t find it too unique, and if I hadn’t gotten it as a gift, I’d not spend the money on it. It’s nice, don’t get me wrong. It’s just nothing that’s changing the world. How It Looks/Feels: Packed with 580 bristles, the brush is shaped like a candy corn. The idea is that the fine tip targets small inner-corner lashes, while the fat center loads up your lashes with the inky pigment to volumize and lift with one swipe. Why We Like It: You know those mascara buzzwords you hear all the time (volumizing, lengthening, curling, defining)? Well, this pigmented mascara manages to capture them all in one sleek black tube. 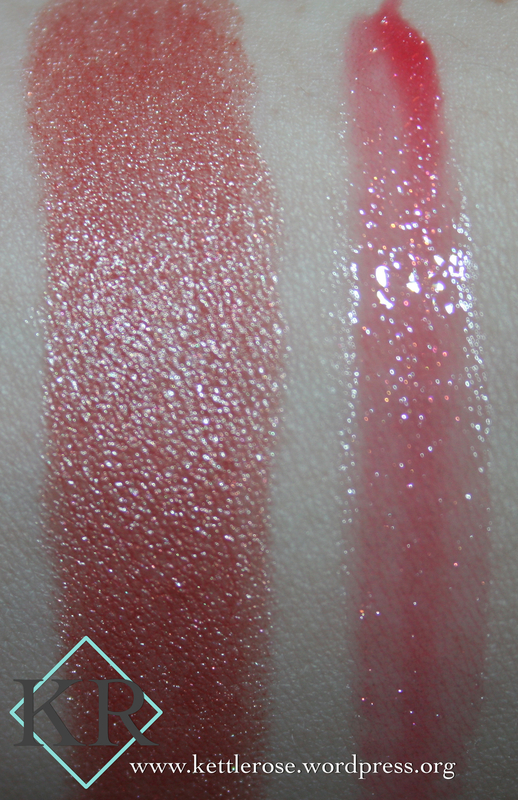 One coat left our tester’s lashes lifted and thicker, yet somehow multiplied, with zero clumps. The unique shape of the brush fits right in with the all-in-one trend: The tiny nib gets right into tricky inner corners while the fatter end pulls the outer corners up and out for a subtle cat-eye effect. What It Is: A glossy green-blue polish that’s free of formaldehyde, toluene, DBP, formaldehyde resin, and camphor. Why We Like It: The love child of mint green and sky blue, it works with our summer whites and office neutrals. And the glossy, wet-looking finish stays shiny even after a trip to the beach. This is a pretty standard turquoise polish. Pretty packaging. I’ll swatch the polish for another post, but judging from the formula it seems like it shouldn’t be too bad. $18 is a wee bit much, but we all know I’ve spent more than that. So that’s it for the Allure May 2016 box. I liked it pretty much overall. Two full-sized products and a mix of makeup and skincare and nail polish with not a single hair product in sight. Now that’s my kind of box. My only issue lies in the product run down card. The punctuation and grammar was horrible, and they described things… not well. Also, who buys an $18 nail polish and doesn’t use a top coat? Like, great, it’s glossy, but… top coat, man. Top coat. I hope this is a welcome return, and I hope to post on here more frequently (instead of every two years). I’ll write a separate post catching you guys up with all the crazy that my life has been since September 26, 2013. My life has turned upside down like ten times. It’s finally leveling out. Which means I’m back, ladies and gents! 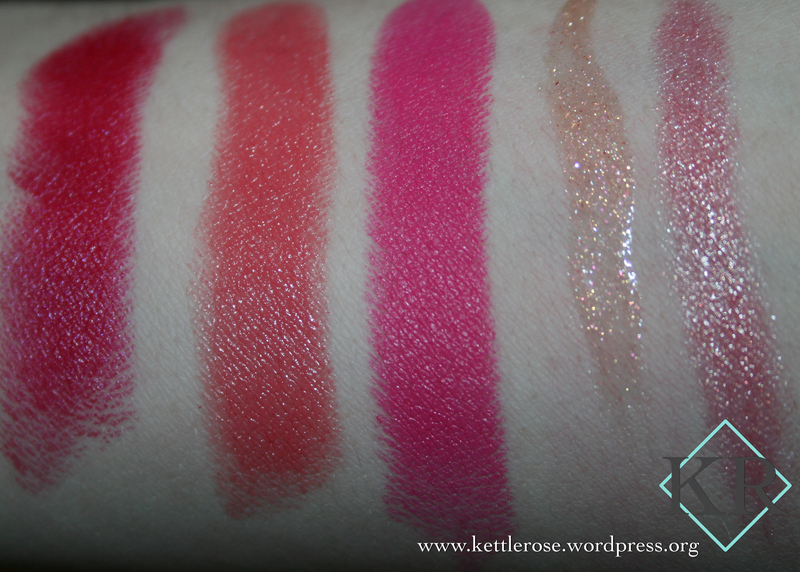 I’m not going to add too much commentary here, I just want these swatches out there. 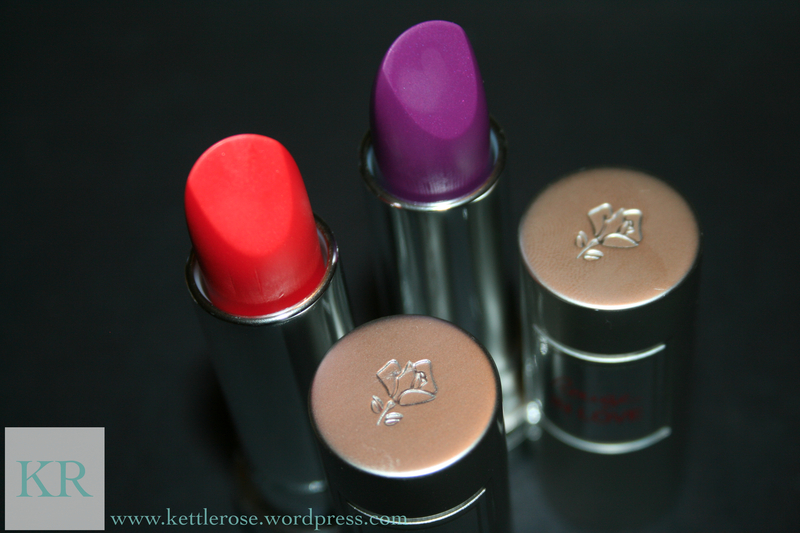 Today I have some Lancome lipsticks for you guys! I just got these after drooling over them for a long while. 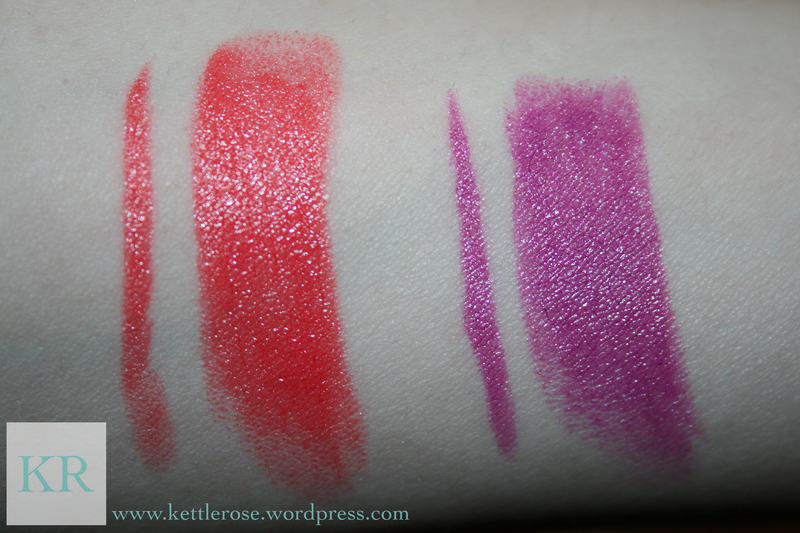 I couldn’t decide between Violette Coquette or 377 Midnight Rose… I went with Violette Coquette. But it was close. 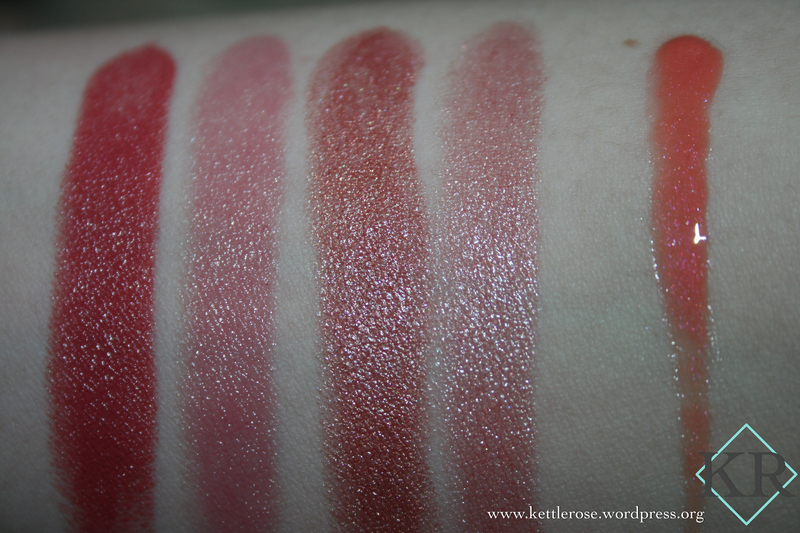 146 Miss Coquelicot is a poppy red creme. 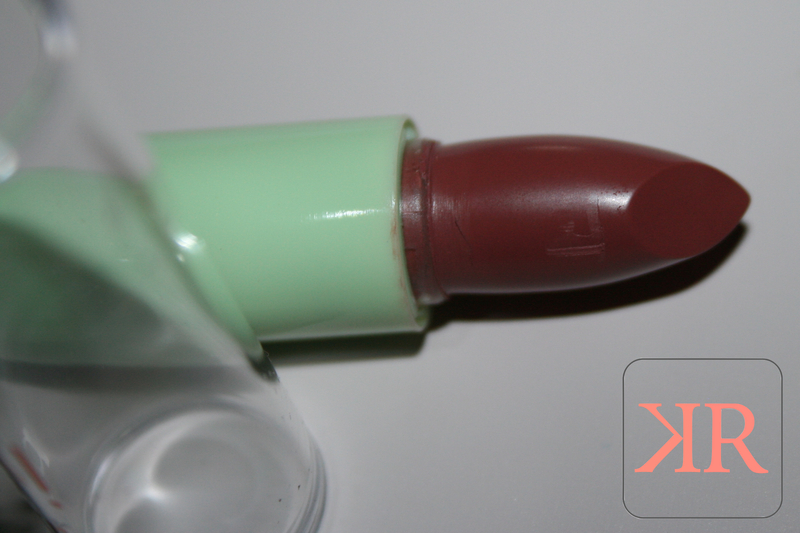 Super opaque, but it doesn’t sit heavy on the lip. 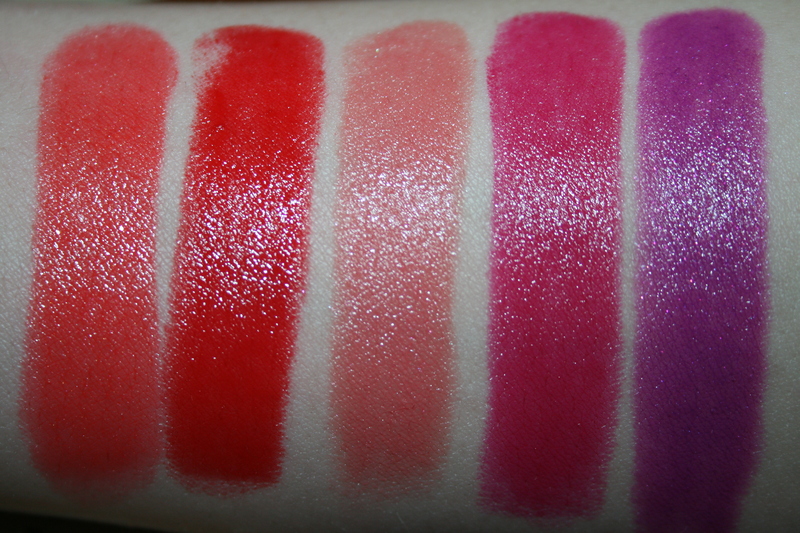 I have, like, continuously dry lips, so they’re always flakey, and most of the Rouge in Love colors just put a spotlight on those problem areas. This one does not. 381 Violette Coquette is a vivid, true purple. This actually is the exact color in the photo- normally purples end up a completely different color. 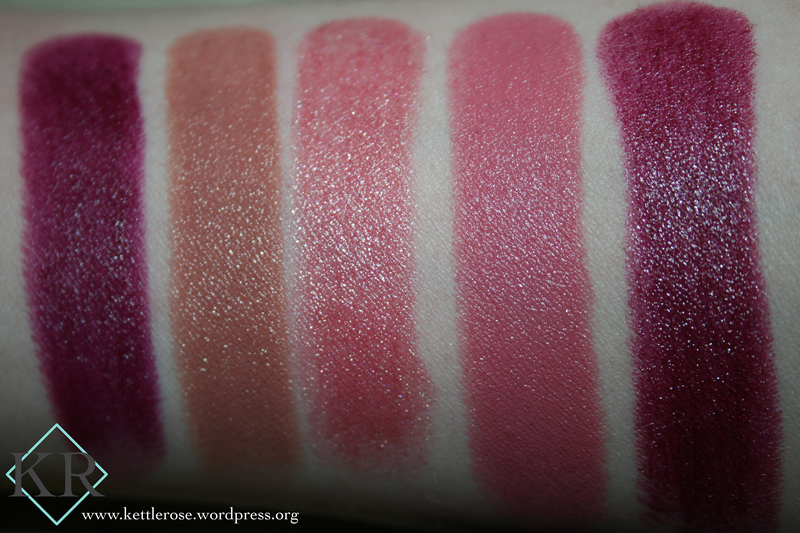 This one, plus my natural lip pigmentation turns it a gorgeous rose color after a while, even though it starts out that bright purple. 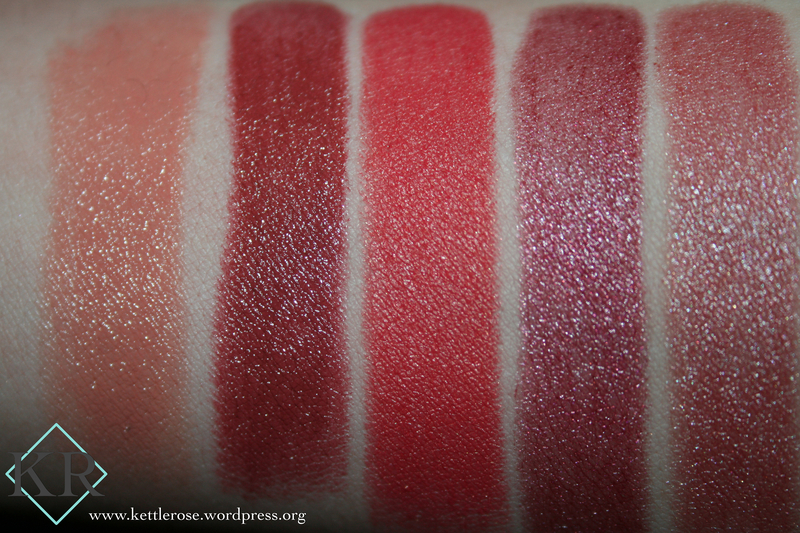 The whole Rouge in Love line is extremely comfortable. It claims to have 6 hour wear, but I find it to be more like 4, then a light stain is left for a while. 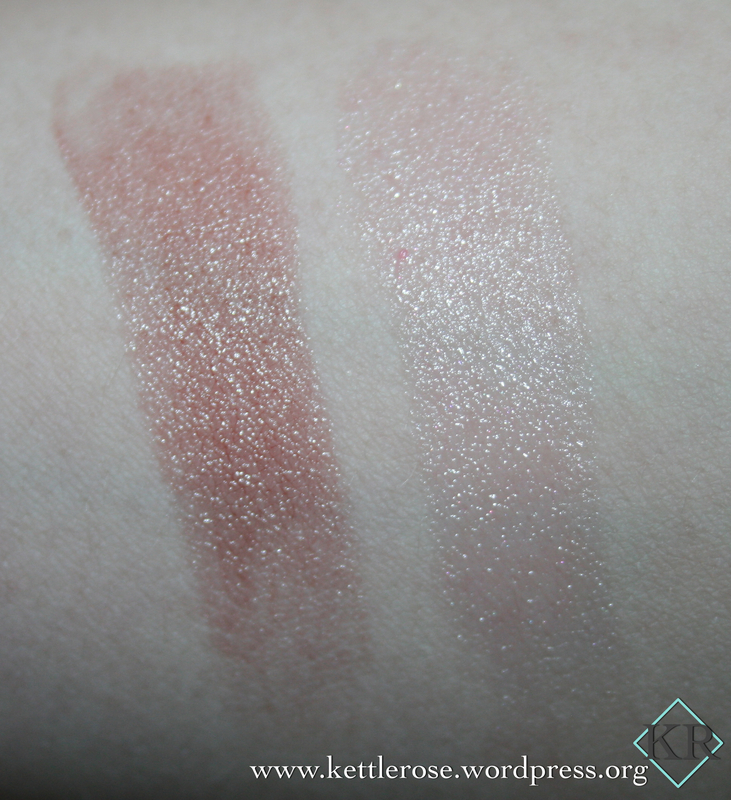 However, I apply a layer, blot, then use my finger to press setting powder over the entire lip and super lightly blending it out, so it is a thin layer of powder setting the color underneath. Then I apply another layer, blot, then I’m on my way. Using this method I can get any lipstick to last at least six hours. 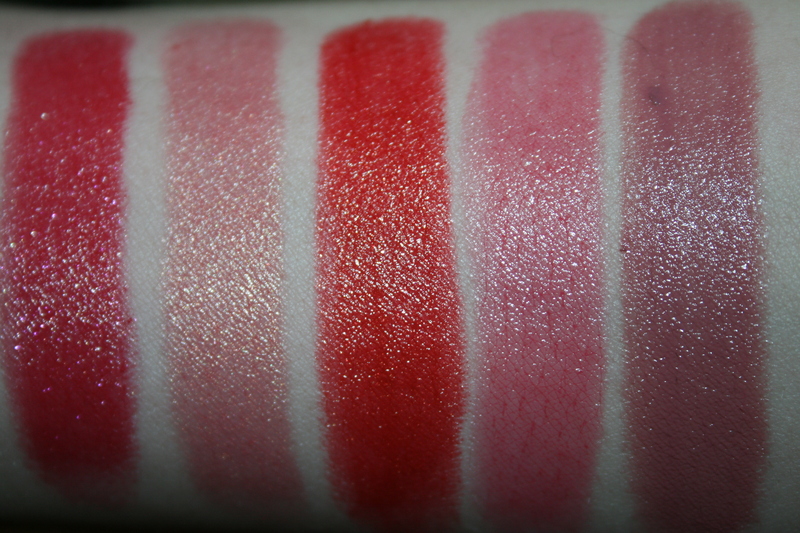 When I wore Rouge in Love in 377 Midnight Rose home from work using powder in between layers, it lasted for 14 hours with only a tiny bit of fading around the edges. I had to use two different eye makeup removers to get it off. I thought I had a permanent lip tattoo. So maybe that isn’t the best way to wear these, especially if you plan on changing your lip color sometime in the day! So, yeah, rambling contained. 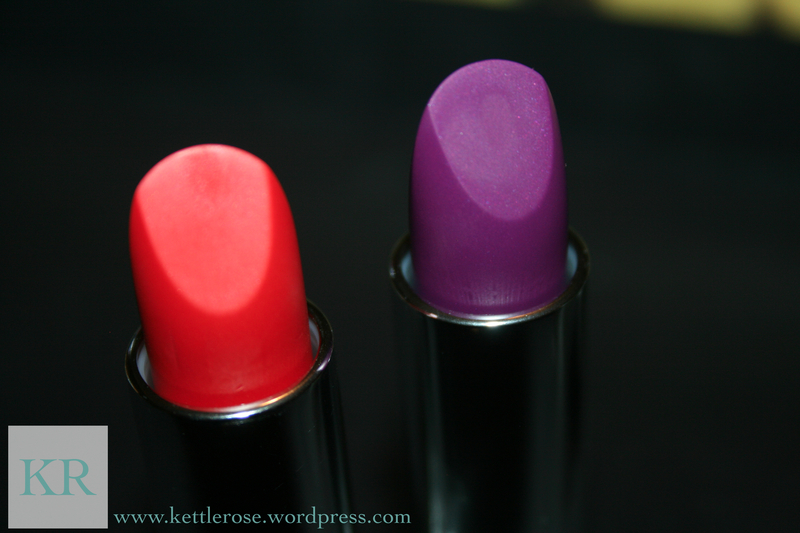 These lipsticks feel super light, like a balm, just like Lancome claims they do. They don’t dry out my lips, and my lips are suuuper sensitive. 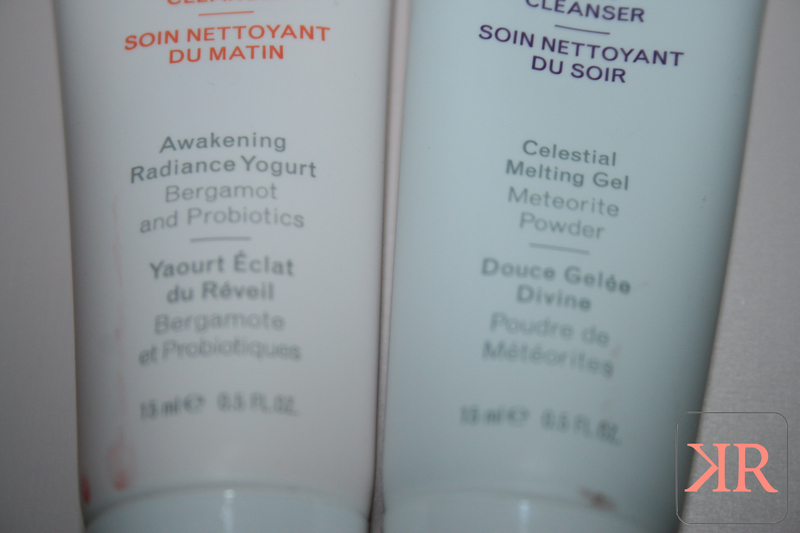 The come in a ton of colors, and they have a gorgeous, gorgeous packaging to them. They last a long time, and fade evenly down to a stain. 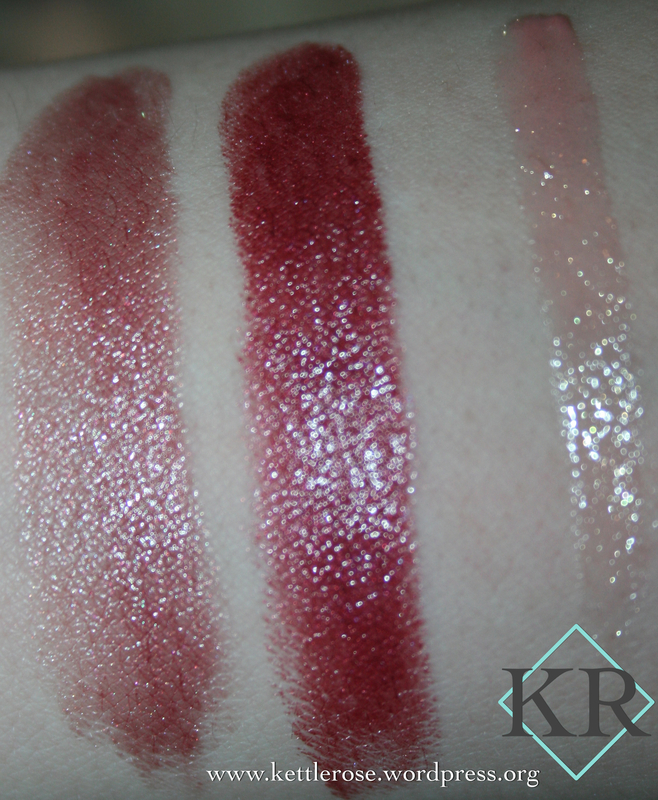 The only downside is that if you have texture to your lips, a la Angelina Jolie, or they’re just temperamental and flaky, a few of the lighter colors, and maybe even some of the darker ones, will make those lines and problems stand out a bit more. Available: $26.50 at Lancôme counters everywhere. All colors (that they’ve released so far) are all permanent shades.